The Springs are buzzing with excitement and I’m not just referring to the voraciously hungry mosquitoes. Last week many groups of children visited and yesterday the first class of the Wisconsin Master Naturalist program, run by the Wehr Nature Center, was here. The Law of Attraction is definitely at work at The Springs. Amanda, Melanie and their crew of volunteers were vibrating with energy as they converted their thoughts and emotions into actions installing a new set of signposts (that Don Dane made) to accompany the interpretive brochure. Melanie and Tara digging the hole for post #3 at the marl pit factory. They had to painstakingly pull out brick after brick from hole #4 by the marl pit bridge. Here is the rest of the crew: Kay, Barb, Berta and Rich. Together they worked on at least 9 different signposts. Nice! 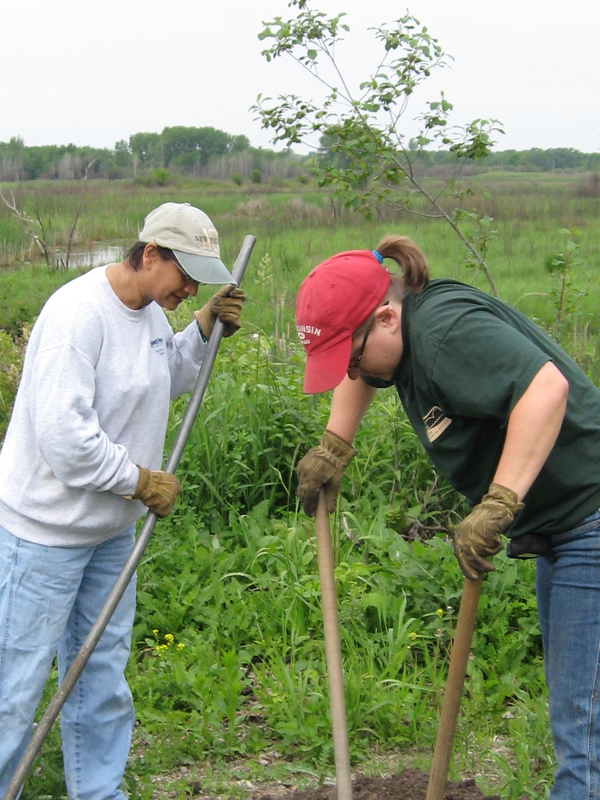 When I first arrived, I sprayed Habitat on some areas in the river valley where the phragmites and cattails were the only plants growing. I’m not going to spray anymore, anything in the river valley. In most of the valley a wide diversity of plants have emerged interspersed with the invasive ones. 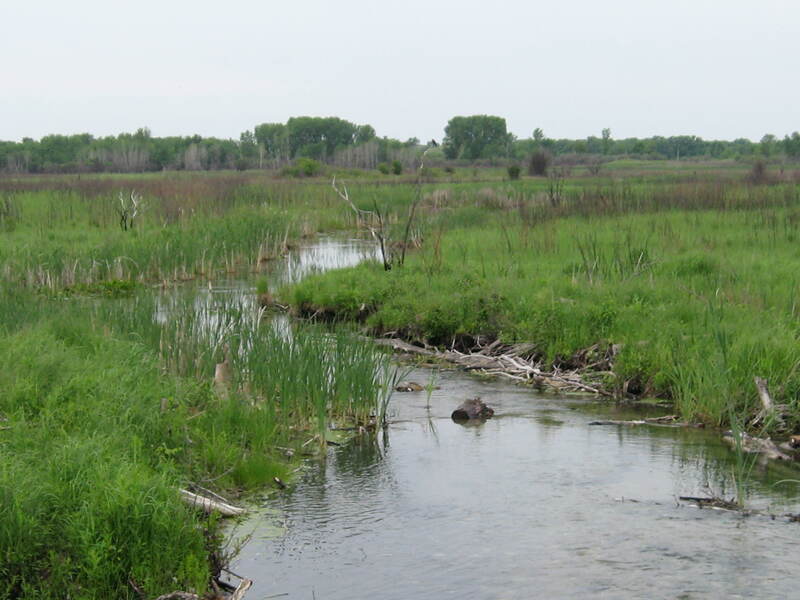 It would take a huge quantity of Habitat to spray the entire area and many good plants would likely be killed, not to mention the residue from the poison that would infiltrate the river. As Dana Carvey impersonating George H.W. Bush would say, “Na, Ga, Da”. I finished girdling a clonal colony of aspen, the last I plan to do at The Springs this season, located on the east end of the cut-off trail in an area that was once cleared for farming. The views from this section of trail south towards the river will be stunning once the aspen and buckthorn are removed. 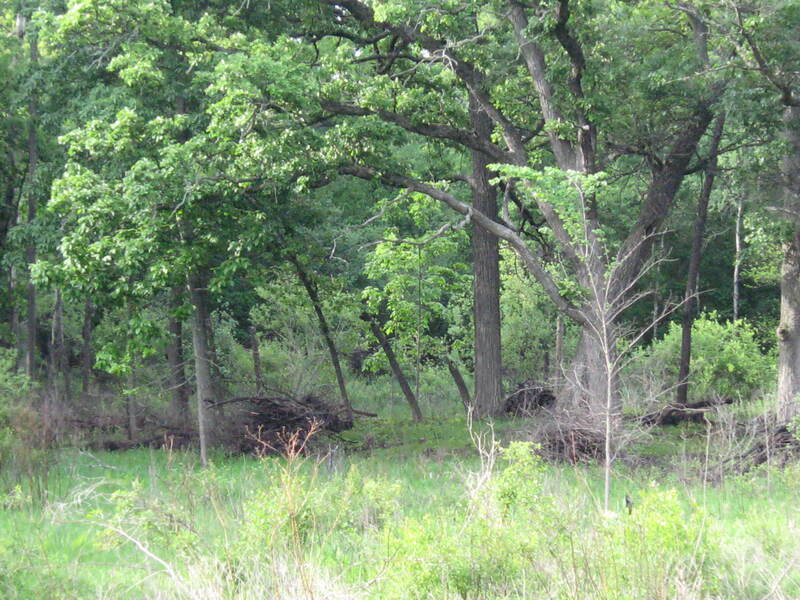 There is still some buckthorn between the trail and river in this area and I plan to get after it soon. 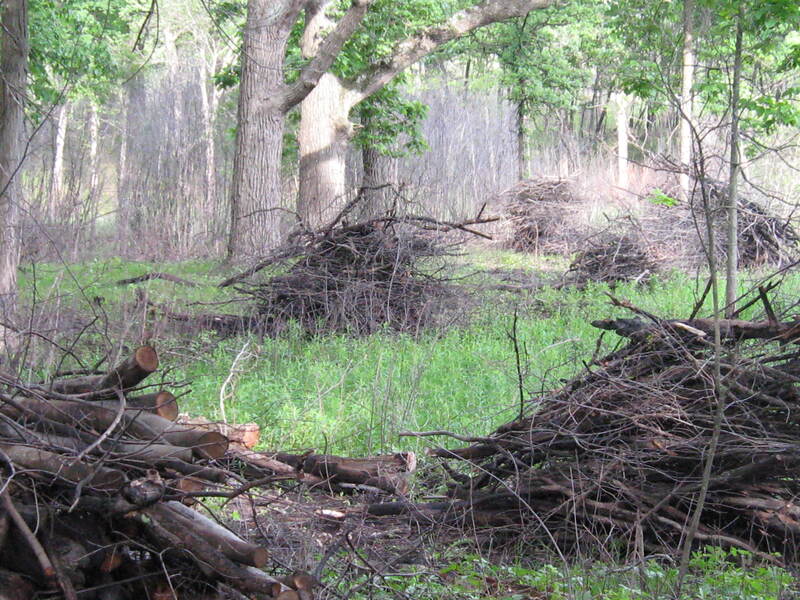 In the afternoon I resumed brush piling on the west end of the cut-off trail. We feverishly cut and cut between the trail and the river during the early spring to lay down as much buckthorn as possible before the burn and I’m almost completely caught up piling it now. Here is a view of the area I was working at from the gaging station bridge. And from the cut-off trail. Here are a few scenes from the marl pit bridge. 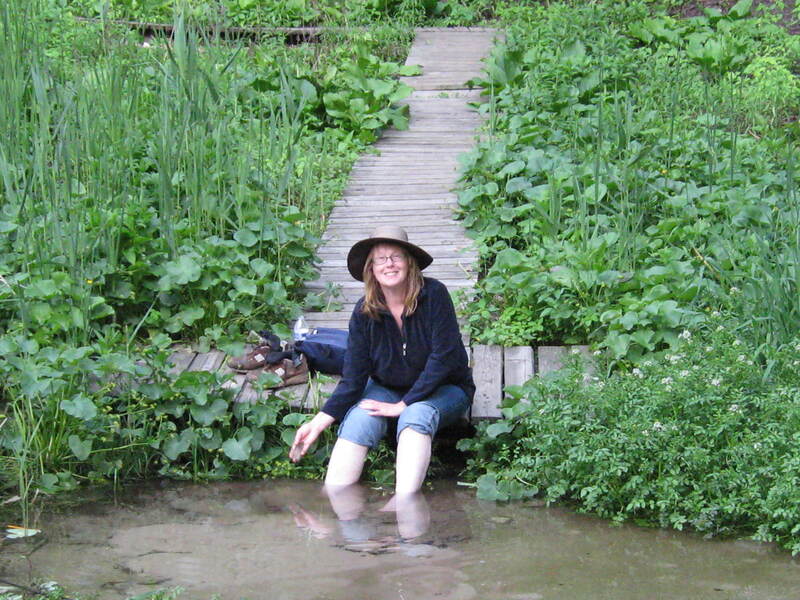 Jill Hagen Smith, who participated in the Wisconsin Master Naturalist class, and who leads children’s nature outings at the Wehr Nature Center, was soaking her feet in cool spring water. 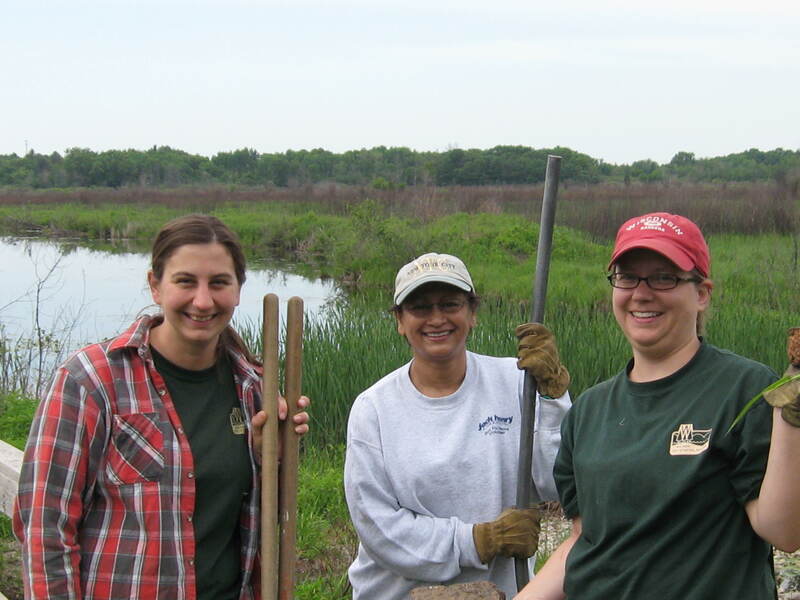 I wish I had known they were going to be there, I would have loved to talk to the group about our restoration efforts. I made an early exit for home. 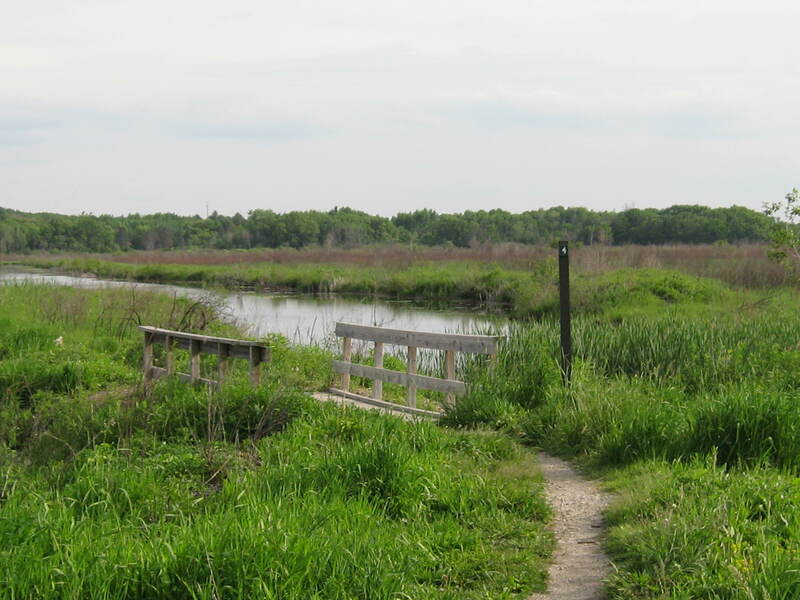 This entry was posted in Brush Piling, Girdling Aspen, Phragmites and tagged Brush Piling, Kettle Moraine State Forest, Kettle Moraine Trails, Nature, Phragmites, Scuppernong River, Scuppernong Springs, SouthEastern Wisconsin Hiking Trails by paulmozina. Bookmark the permalink. A day at the springs is always renewing, and to offer some small service cannot begin to repay nature for what it provides. 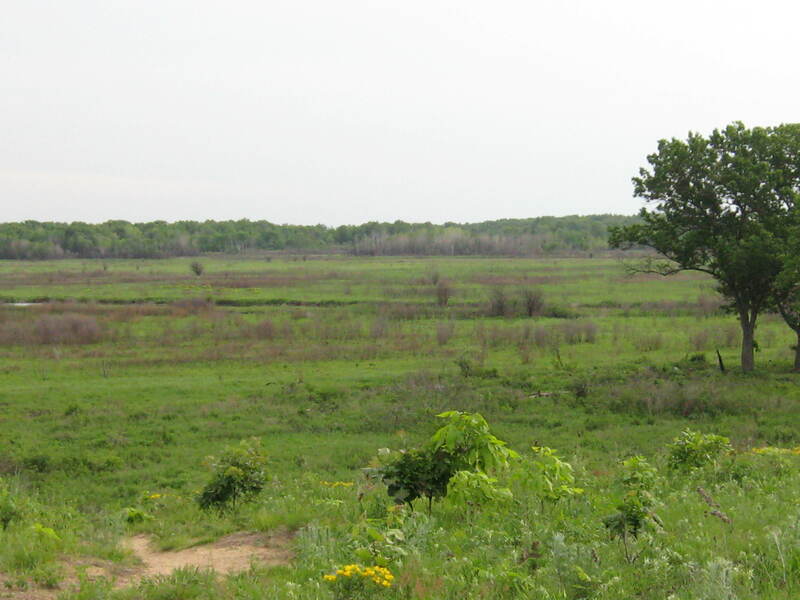 Our Ice Age Trail group will be providing a grade school guided hike this coming Sat at 3:30. We will be commenting on the geology as well as the restoration work. A lesson that can be observed is always the best kind! Thanks Paul!